Where the Red Fern Grows is a beloved classic that captures the powerful bond between man and man’s best friend. This edition also includes a special note to readers from Newbery Medal winner and Printz Honor winner Clare Vanderpool. Billy has long dreamt of owning not one, but two, dogs. So when he’s finally able to save up enough money for two pups to call his own—Old Dan and Little Ann—he’s ecstatic. It doesn’t matter that times are tough; together they’ll roam the hills of the Ozarks. Soon Billy and his hounds become the finest hunting team in the valley. Stories of their great achievements spread throughout the region, and the combination of Old Dan’s brawn, Little Ann’s brains, and Billy’s sheer will seems unbeatable. But tragedy awaits these determined hunters—now friends—and Billy learns that hope can grow out of despair, and that the seeds of the future can come from the scars of the past. Wilson Rawls is the author of the timeless classic Where the Red Fern Grows and the acclaimed novel Summer of the Monkeys. He was born on a small farm in the Ozark Mountains and spent much of his boyhood roaming northeastern Oklahoma with his only companion, an old bluetick hound. 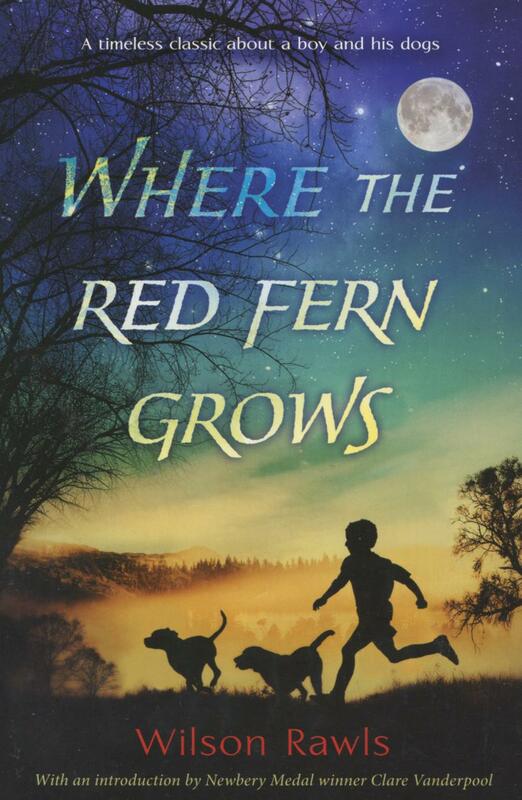 Since its publication more than fifty years ago, Where the Red Fern Grows has assumed the status of a classic and has been made into a widely acclaimed motion picture. Rawls' second novel, Summer of the Monkeys, received rave reviews and won the prestigious California Young Reader Medal Award, among other accolades.